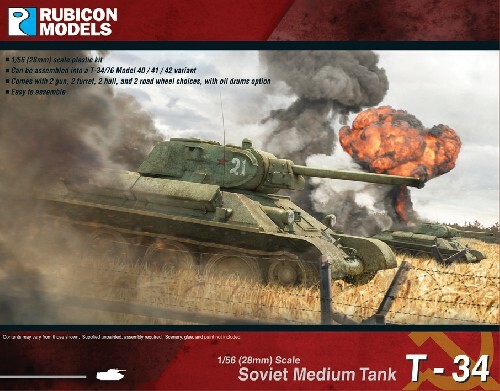 Rubicon Models 28mm T34/76 Tank. Model 40, 41, and 42 variants. 2 turret options. Hard plastic model kit, needs glue to assemble. Supplied unpainted. 1/56th scale, designed to go with 28mm sized figures such as are made by Artizan Design and Crusader Miniatures.